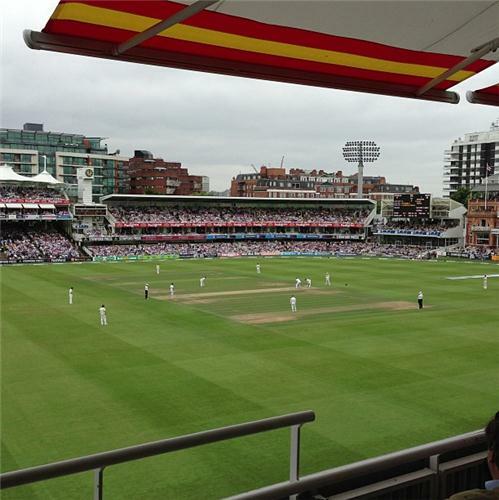 Join Lizzy Ammon for live over-by-over commentary on the second Ashes Test from Lord's. Australian Press Colleagues are firing up their "SHAME OF AUSTRALIA" headlines. Nothing much doing from the Aussie bowlers who are bowling mostly wide of off stump which Root and Cook really don't mind leaving. There's most of this match left they can just sit it out. So much for batting time. 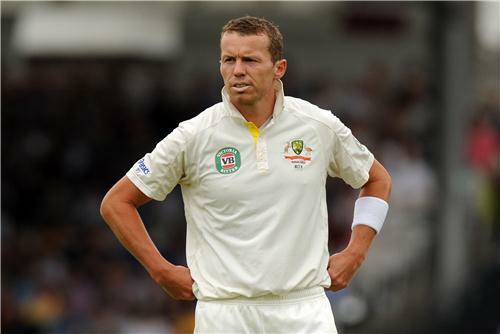 Cook is out - bowled by Peter Siddle. Cook tried to drive a length ball and edge it back on to his stumps. I hope we just win! Go ENGLAND!!!! Oh dear oh dear. This is a batting horror show all round. 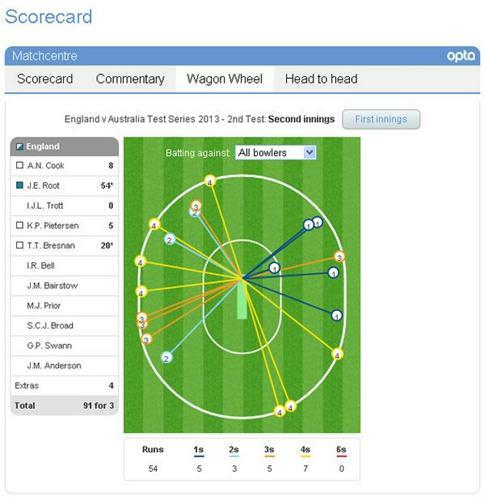 That's not great from Trott, he got his defence all wrong. He didn't get forward or back and there's an inside edge on to his stumps. Top shot! Pietersen pulls Pattinson to the mid wicket boundary. Power and timing. Siddle has his tail up here. He gets some extra lift and Root just about fends it away through gulley for three. That's a poor shot from Pietersen. He could have left it. Instead, he drives a full and wide one straight to Rogers at point. 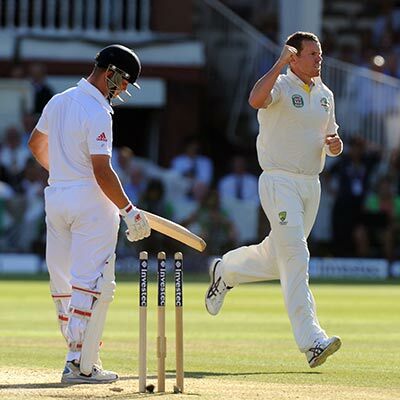 This is a great spell of bowling from Siddle. 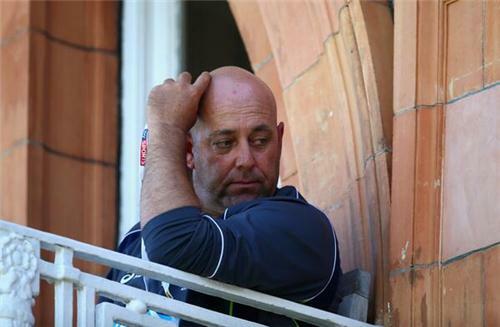 Do England have a new nightwatchman? Bresnan comes to the crease. 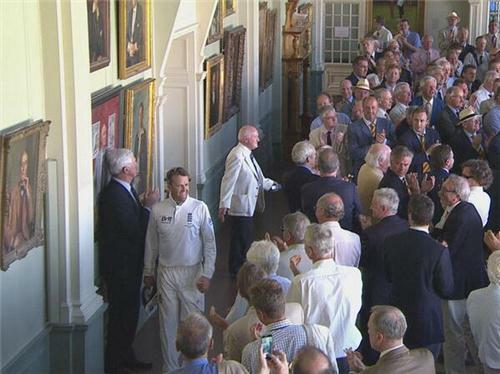 You might have to wait for tomorrow for another Ian Bell masterclass, it seems. Agree wholeheartedly with the "Pietersen is a child sometimes" comment. He does have centuries in him, but only when he has his right head on - which isn't very often. Far too self-centred and too easily goes for glory instead of remembering he's in a team. Would like to see England play the remainder of this Test Series without him. Surely putting oz back into bat on bowlers wicket and they being down would have finished them off cheaply, so why would Cooke and Strauss think it better for England to bat?, is there pressure to keep play going 3 days? Despite commentators on C5 think its proved bowlers wicket, is it poss England would have been all out cheap. I'm not sure which camp I am in. 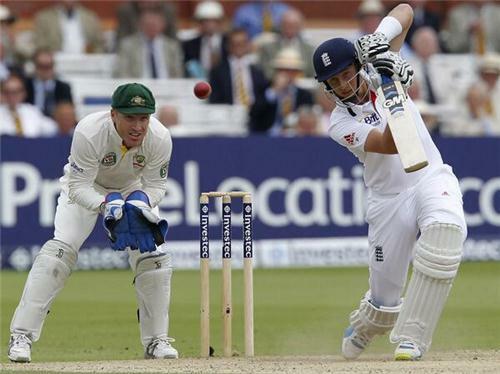 Joe Root has moved on calmly to 48* - a very confident calm looking innings. England's lead is now 328 and is, almost certainly, already too many for Australia to chase. What they'll want to do is now grind their bowlers into the dirt. Try and break them. Destroy mode. It's Yorkshire v Australia and Yorkshire are on top. Which I am sure the people of God's own country will be suitably modest about. England reach 100 from 275 balls. That's the 100 up for England. It's been a sedate morning of proper Test cricket. This is Tim Bresnan's highest score in Test cricket since May 2012. They've absolutely motored along since tea and maybe they'll have a dart at Australia tonight - the last 10 overs?